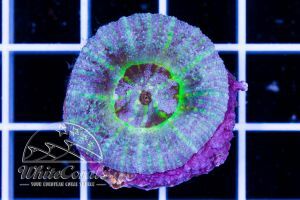 WYSIWYG ("What you see is what you get"). 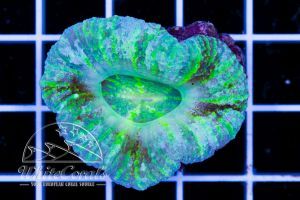 You will get exactly the coral shown on the picture. 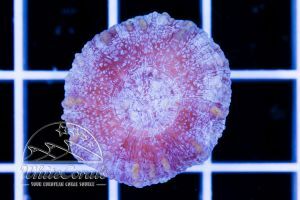 The reference point for the size of the shown coral is the plate. 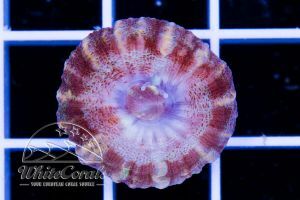 Each square has the size of 1,3cm x 1,3cm. 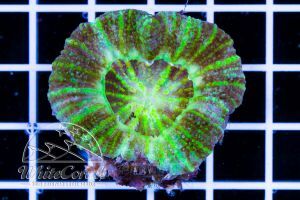 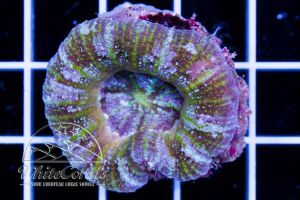 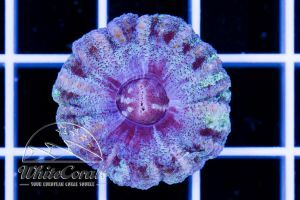 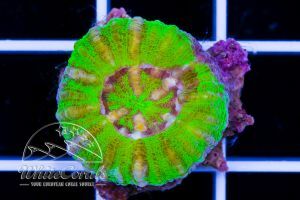 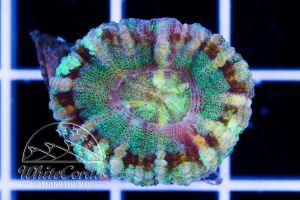 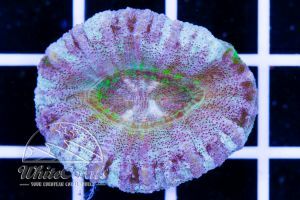 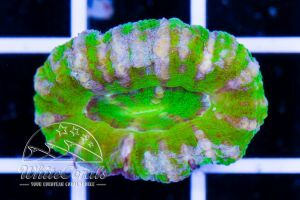 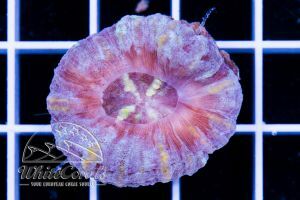 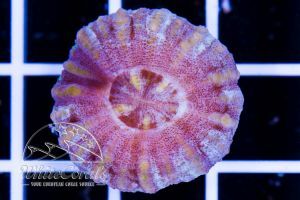 "Scolymia are in genereal easy to keep! " 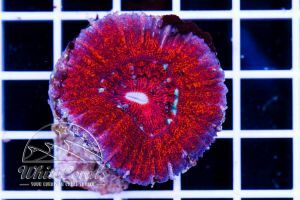 Scolymia can be fed with NYOS Goldpods. 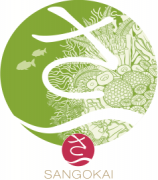 They eat zooplankton and phytoplankton gladly. 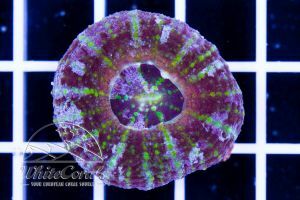 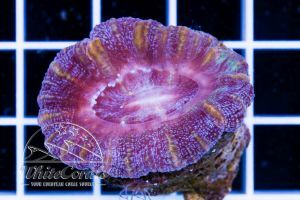 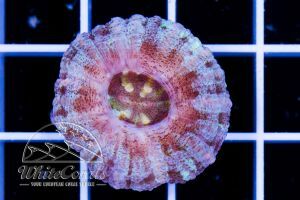 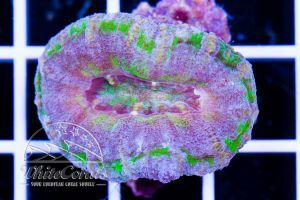 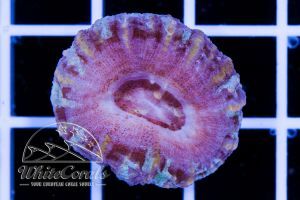 At Whitecorals online shop you have a collection of coral food for all species of corals. 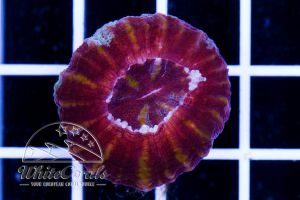 Scolymia stretches at night from the center of its tentacle to catch the plankton. 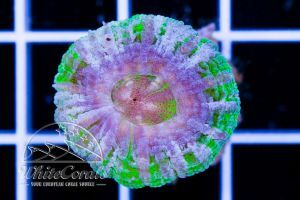 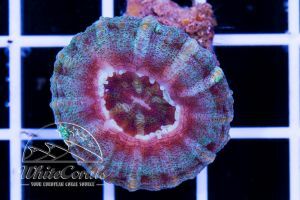 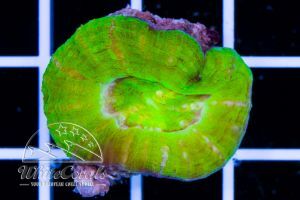 Active feeding is usually not necessary, however it gives corals a strong colour intensity, health and helps it in faster growth. 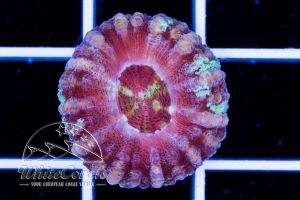 Scolymia grows very slowly and is normally upto 10 cm.